WP Coupons – The #1 Coupon Plugin for WordPress. 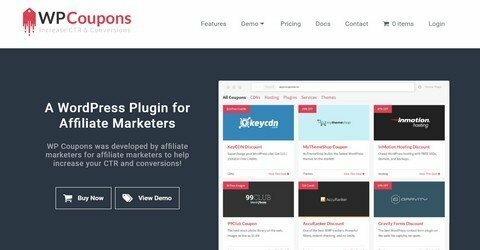 WP Coupons is a WordPress Plugin for Affiliate Marketers. The plugin was developed by affiliate marketers for affiliate marketers to help increase your CTR and conversions! All WP Daily Coupons readers get a 5% discount on the WordPress plugin WP Coupons by using the coupon code. No time limit.